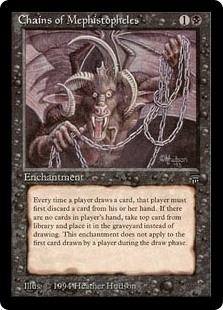 Chains of Mephistopheles ($700.00) Price History from major stores - Legends - MTGPrice.com Values for Ebay, Amazon and hobby stores! 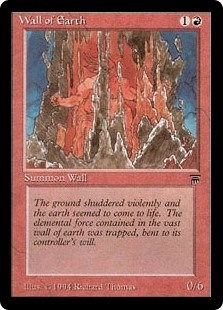 Card Text: If a player would draw a card except the first one he or she draws in his or her draw step each turn, that player discards a card instead. If the player discards a card this way, he or she draws a card. 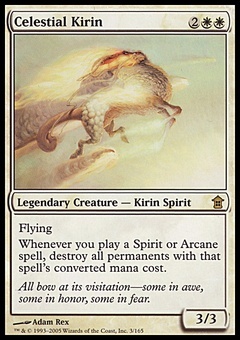 If the player doesn't discard a card this way, he or she puts the top card of his or her library into his or her graveyard.